Acronis Backup Advanced supports the following Exchange cluster configurations. Both configurations are failover cluster solutions based on a shared storage. Each of them uses a single copy of a storage group on storage that is shared between the cluster nodes. Only one cluster node can access (manage) shared data at a time. 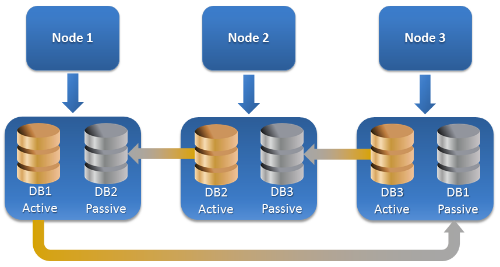 The node that is currently managing shared data is called an active node. 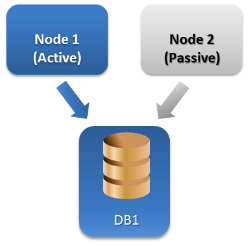 Other nodes are called passive or standby. CCR is a failover cluster solution based on a non-shared storage. It uses two copies (active and passive) for each storage group. Each copy is hosted on its own node. The copy that is currently in use is called active, and the node hosting this copy is called the active node. The passive copy is created and maintained on the passive node using continuous and asynchronous log shipping technology. DAG is a failover cluster solution providing high availability and site resilience. DAG uses the combination of two continuous replication technologies found in Exchange 2007: Cluster Continuous Replication and Standby Continuous Replication. DAG is a group of up to 16 Exchange 2010 Mailbox servers. Any node can host a copy of mailbox database from any other node. 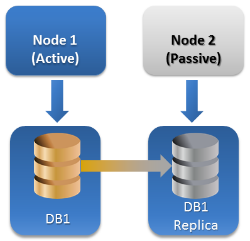 Each node can host passive and active database copies. Up to 16 copies of each database can be created.